In Nov. 2014, at Vandalur, in Chennai, India, a portion of the retaining wall of the tiger enclosure collapsed - reports of the big cats being at large created a scare. There was some drama and conflicting reports that tigers had escaped their enclosure and were at large. Earlier, in Dec 11, a nine ft long puthon was found in bushes outside its enclosure. The eight-year-old reptile, which had swallowed a chicken kept near the enclosure as bait, was spotted by a keeper. Closed-circuit television (CCTV) cameras near the enclosure captured footage of the python in the bushes. Reportedly, the python had escaped when the keeper forgot to close the channel connecting the enclosure with an outlet outside with a piece of wood. By the time,the mistake was spotted,the python had managed to crawl out. Salt Lake City, is the capital and the most populous municipality of the U.S. state of Utah. The city was founded in 1847 by Brigham Young, Isaac Morley, George Washington Bradley and numerous other Mormon followers, who extensively irrigated and cultivated the arid valley. Utah's Hogle Zoo is a 42-acre (17 ha) zoo located in Salt Lake City, Utah. It houses animals from diverse ecosystems. Hogle (pronounced "ho-gul") is an accredited member of the Association of Zoos and Aquariums(AZA) and the World Association of Zoos and Aquariums (WAZA). Founded by Hogle family, the zoo in 1916, purchased Princess Alice, an elephant, from a travelling circus. It now houses many deer, monkeys, three elephants, various birds, mammals, and reptiles from around the world. In 2006, this zoo celebrated its 75th anniversary with free admission to persons born in 1931. 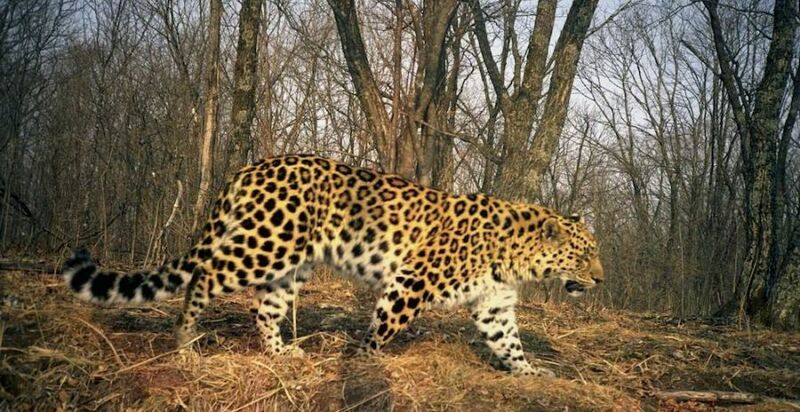 The Zoo is in news as on June 7, 2016, an Amur leopard escaped from its enclosure but was returned without incident. Zeya, a 60-pound, four-year-old Amur Leopard, is the smallest animal that has ever lived at the zoo's Asian Highlands exhibit. They said she apparently climbed up some mesh fencing that surrounds the enclosure and squeezed through the 6" by 6" mesh that makes up the roof of her enclosure. A large quantity of Zeya's fur was found on the mesh, which led zoo officials to reach this conclusion about her escape. Zeya was found sleeping on a beam about 15 feet in the air just outside the fence to her cage. Her escape prompted a lockdown at the zoo and guests were ushered into buildings as workers contained Zeya. An emergency response time shot her with a tranquilizer dart and she was taken to the zoo's hospital for observation. She was announced to be healthy and fine after the incident. Hundreds of Salt Lake City zoo visitors took shelter inside buildings Tuesday morning after a rare leopard escaped and fell asleep on a beam just above where visitors would have gathered to watch her. A visitor spotted the 4-year-old female snoozing on the outdoor beam about two feet from the exhibit, Hogle Zoo spokeswoman Erica Hansen said. She told a zookeeper, who raised the alarm. An emergency team tranquilized the Amur leopard, packed her into a crate and took her to a holding area. No one was hurt. Hansen said they don't yet know how or when the leopard managed to get through the tall steel-grade mesh that surrounds the top and sides of her enclosure, but officials are investigating. One of the visitors is quoted as saying she was looking at the giraffes at the zoo when a staff member told her and her family to take shelter in the gift shop with about 40 other people because of a situation. She said there was "no chaos or anything." Another who was ushered into a building said, they never felt any fear or trouble. There are two Amur leopards at the zoo. Hansen said the other leopard is in a separate enclosure and did not escape. The leopard that escaped is a petite, 60-pound animal that has only been at the zoo for less than one year. She was brought in from a sanctuary in England to mate with the other Amur leopard, she said. Amur leopards are considered critically endangered, according to the conservation organization World Wildlife Fund. There are only about 60 of them left in the wild. Hansen said it is rare for animals to get loose at the zoo. In 2006, the zoo was evacuated when a gray wolf scaled the wall of her pen. The animal was shot with a tranquilizer dart and captured within zoo boundaries after about an hour. No one was hurt in that incident too. While the leopard was quickly contained in Utah on Tuesday, if the animal had actively threatened people zoo officials would have used lethal force, the spokesperson said. The lines outside the Utah zoo grew long during the hour-long shut down, but the zoo has since re-opened. Many people returned to finish their outing after staff gave the all-clear signal. The animal had comfortably escaped, but somehow fell asleep, to be recaptured and put in captivity again ! !